← A Lot Of Dieting Is Wishful Shrinking!! 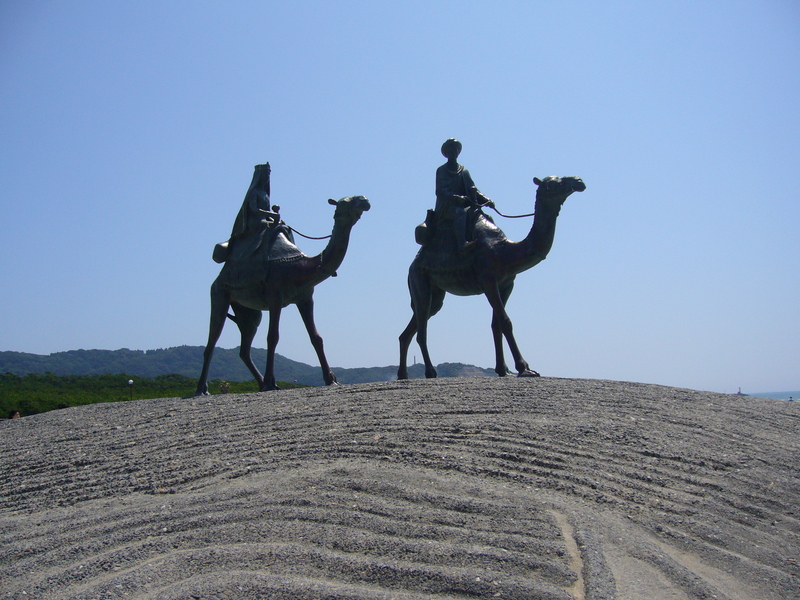 On the Boso Peninsula in south-east Chiba (the eastern neighbouring prefecture to Tokyo) is a beautiful white sand beach and last Friday I travelled for about 2.5 hours to spend the day on it and it was quite an experience. It was in the mid-thirties and my own body temperature was soaring high too for all the many beautiful Japanese girls there with hardly a pinch of fat between them. 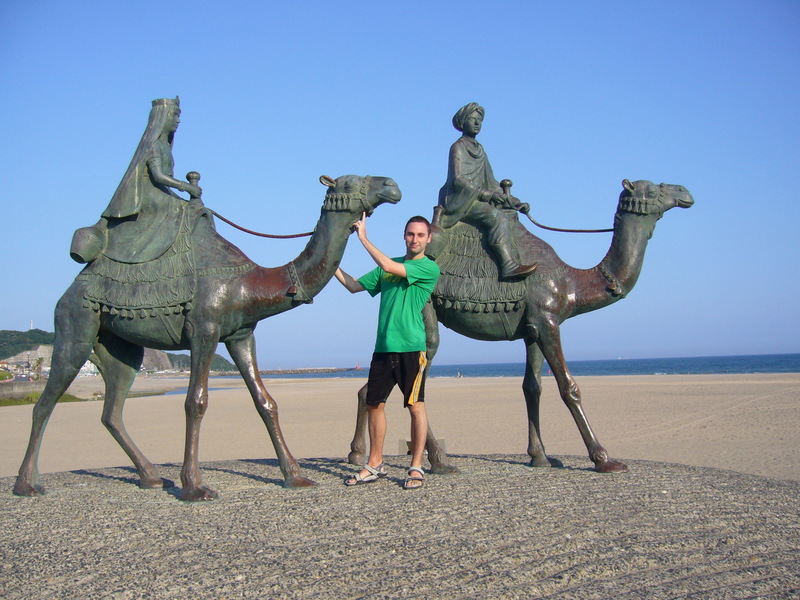 The first thing to catch my eye as I stepped onto the beach was a statue of two camels (below) carrying a Prince and Princess which is something to do with a childrens song inspired by this lovely 2km long white sandy beach and its green hills. Those of us wanting to sunbathe and/or swim had to stay in one area which was packed but nowhere near as bad as the weekend when I guess no sand can be seen for the thousands of people there. 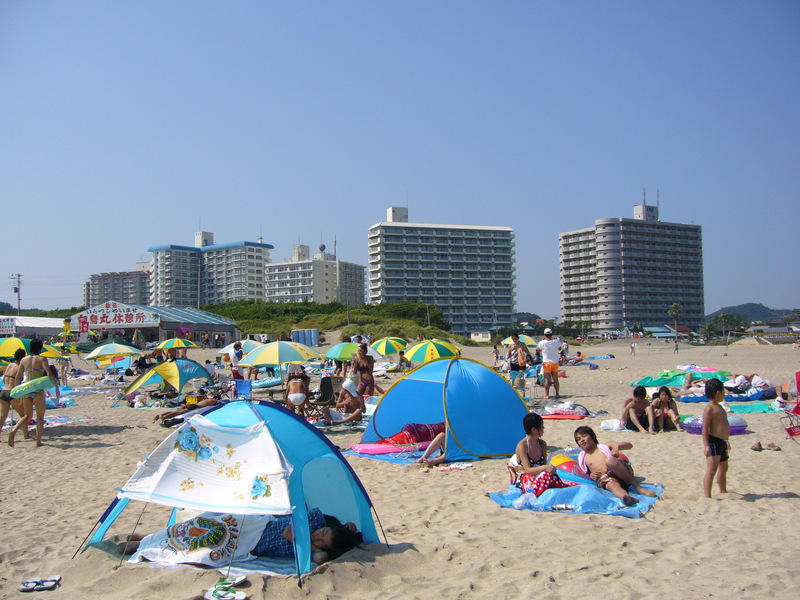 Despite the tans of most of the people on show, renting umbrellas to sit under is very common as are inflatables for lying around on in the sea. The main food stand on the beach was doing a roaring trade selling beers and food, and everyone apart from me seemed to use the 500 yen showers! Vanity is never a problem for Japanese girls and they seem to always be looking at their mirrors, particularly at the end of the day. The restaurant sitting area was awash with them applying their make up before they trotted off home wearing their gold high heels which I’m sure doesn’t happen in too many countries after a beach trip. Keeping up appearances is very important in Japan! 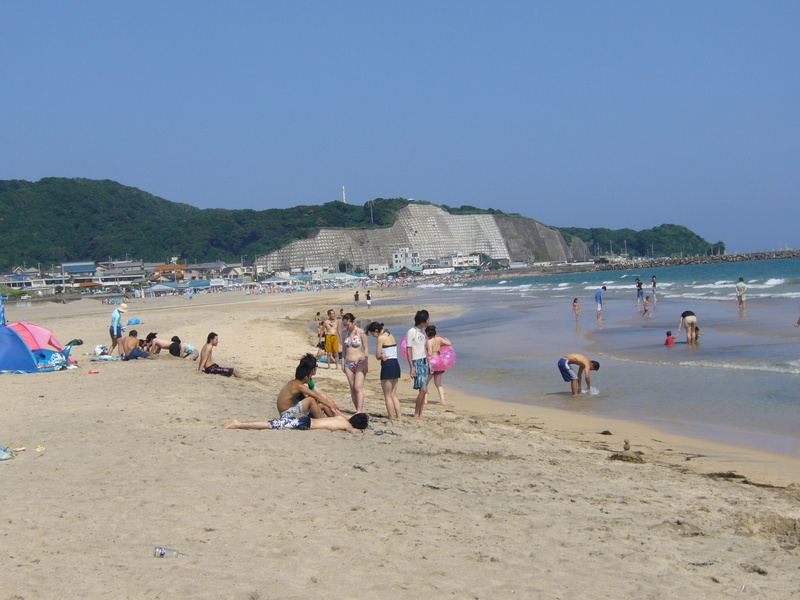 This entry was posted in Japan Travel, Tokyo Daytripper: and tagged best beaches near tokyo, chiba, hot japanese beach babes, hot Japanese girls, how to get to onjuku, onjuku beach, Tokyo Daytripper:. Bookmark the permalink. Looks like a great trip. I’m back in the country now and given the choice between a trip to Onjuku and a meal at Shakey’s I know which one I’d prefer! As for vanity there were girls putting makeup on on the train back from the airport- they don’t waste a moment!